To be fair, this means less to me than it does to my husband, a confirmed ‘person of slight Irish descent.’ In honor of his heritage (which in actuality is mostly Scandinavian), or perhaps more accurately in honor of his affinity for beer, he routinely goes all out on St. Patrick’s Day. This means several things: 1) watching The Boondock Saints (which is harder to wrap my head around now that I can only see Norman Reedus as Daryl Dixon of The Walking Dead), 2) green bagels, and 3) Jameson Irish Whiskey, Bailey’s Irish Cream and Guinness Irish Stout beer all in one glass. A couple years ago, to celebrate, we enjoyed some green bagels. Last year, we made Irish coffees to start the day. This year, I’m taking a tamer and more mature approach. 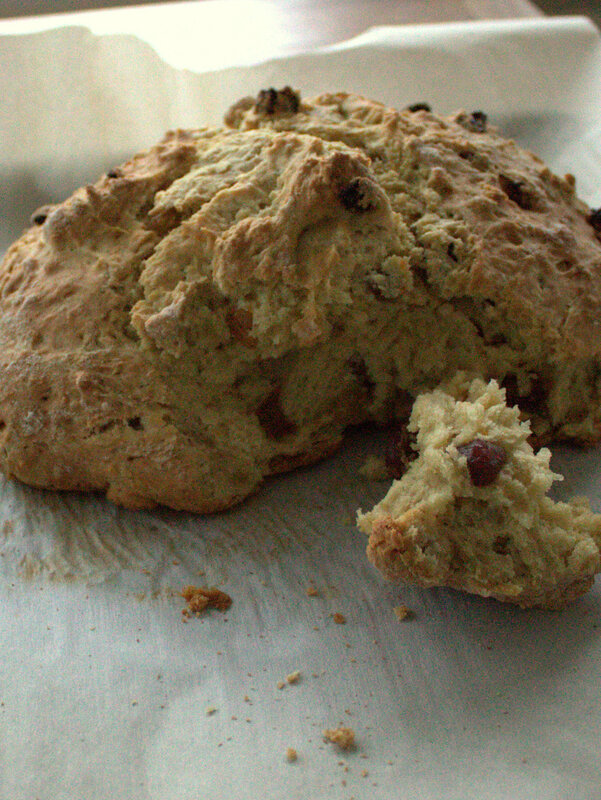 I’m channeling Ina Garten and whipping up some Irish Soda Bread. Or you could just make it because it’s a good way to incorporate some “Irish” in your day. 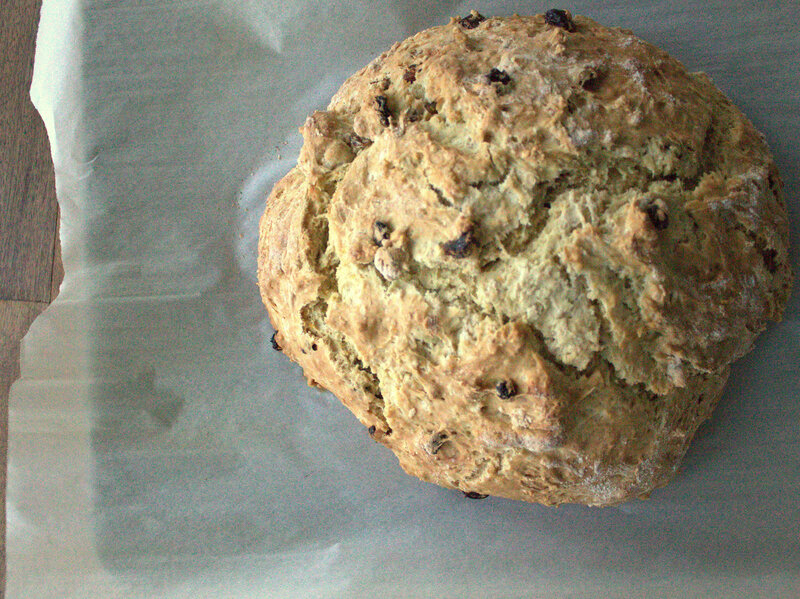 I adapted this recipe from Ina Garten’s Irish Soda Bread. Her recipe can be found here. Combine the buttermilk, egg, and orange zest. With the mixer on low speed, slowly add the buttermilk mixture to the flour mixture. 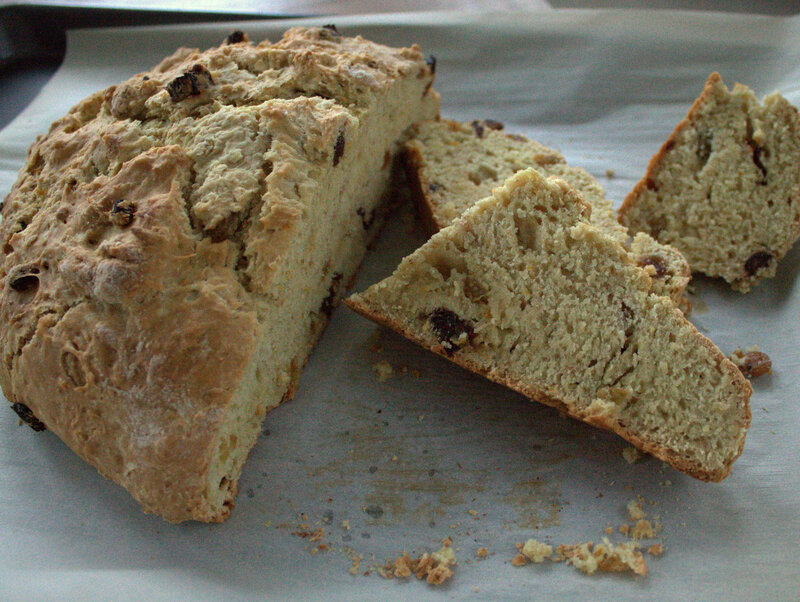 Combine the raisins and dates with about 1 tbsp. of additional flour and mix into the dough. Dump the dough onto a well-floured board and knead it a few times into a round loaf, incorporating a little more flour into the loaf as you knead. 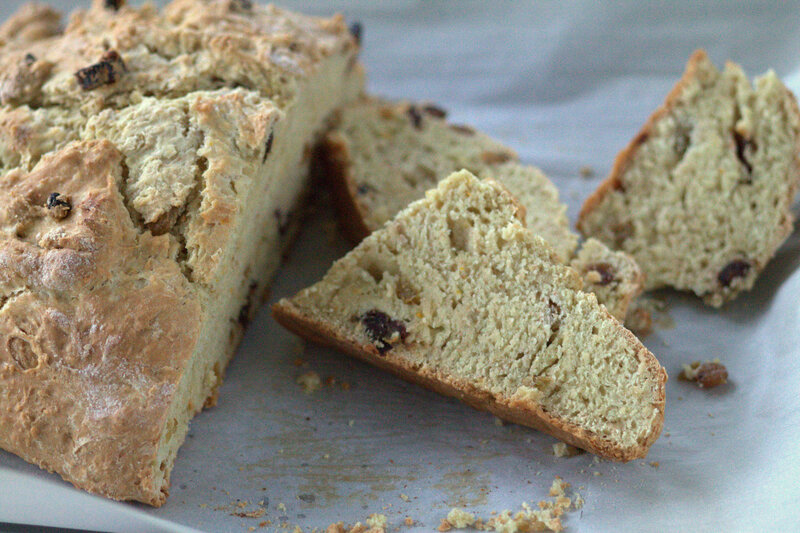 Place the loaf on the prepared sheet pan and lightly cut an X into the top of the bread. Bake for about 50 minutes, or until a cake tester comes out clean. Happy St. Patrick’s Day friends! Hope you enjoy a drink or two. But not green beer. Think bigger. 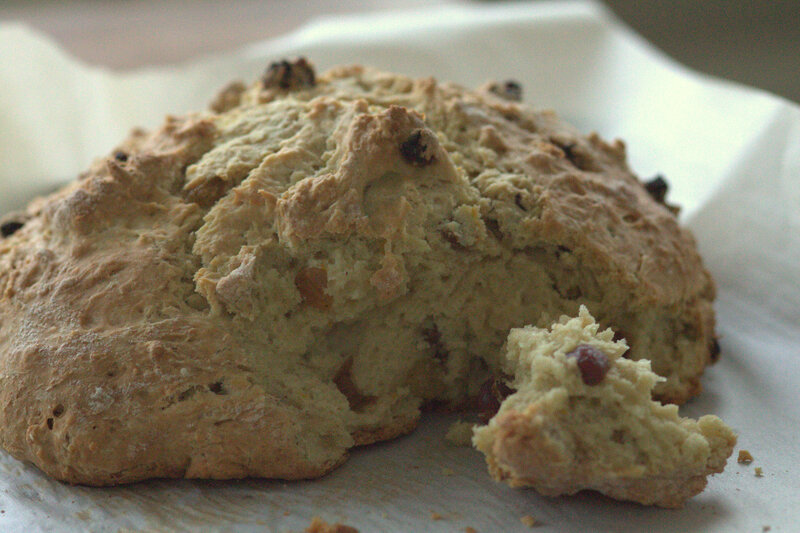 You know what’s funny – I only used dates because I didn’t have enough raisins, but I LOVED it!